← Beauty and the What?! So, this is my little slice of heaven and without it, I wouldn’t be the person I am. I wouldn’t be posting to a blog or self publishing my first and soon my second book. I would be just another drone out there working to pay the bills. Having the life that’s in the photo is my dream and I love it. 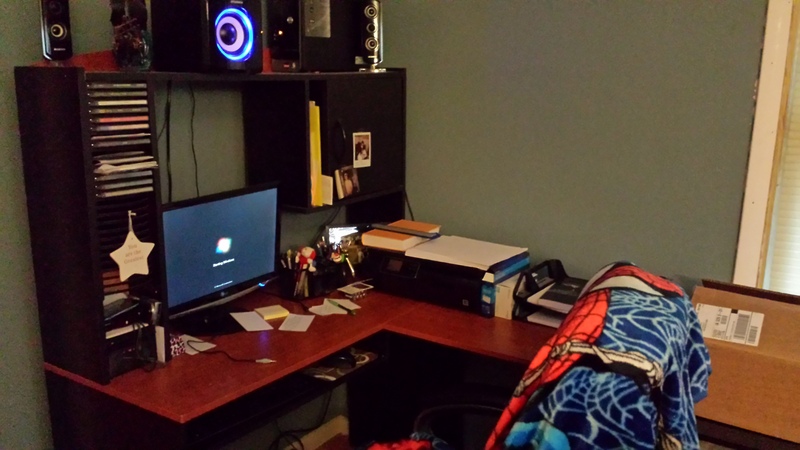 In case you’re wondering, that is a Spiderman blanket covering my chair. It looks very tidy! 😀 But cosy, and a great place to sit down and write.